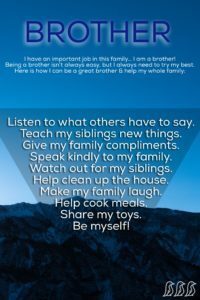 Having three children means that there is a lot of activity in our house! And for the most part, there is a lot of love and laughter. Nothing makes me as happy as watching these three humans, who I helped to create, play together in a kind and harmonious way! However, there are times when someone gets upset. 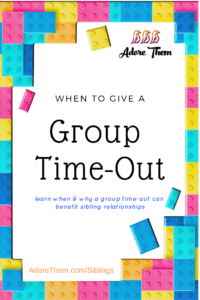 Whether sharing suddenly becomes painfully difficult, someone starts crying because their feelings were hurt, or things build into a nasty argument/fight…… Whatever the reason, we have all needed to step in and mediate these sibling quarrels…. 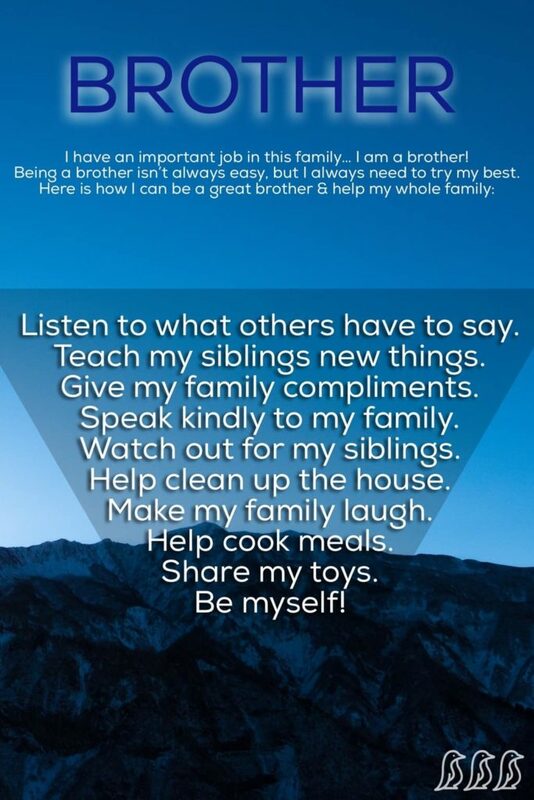 Click, print, & hang this image in your son's room for a warm reminder that he has an important job in your family: being a great brother! 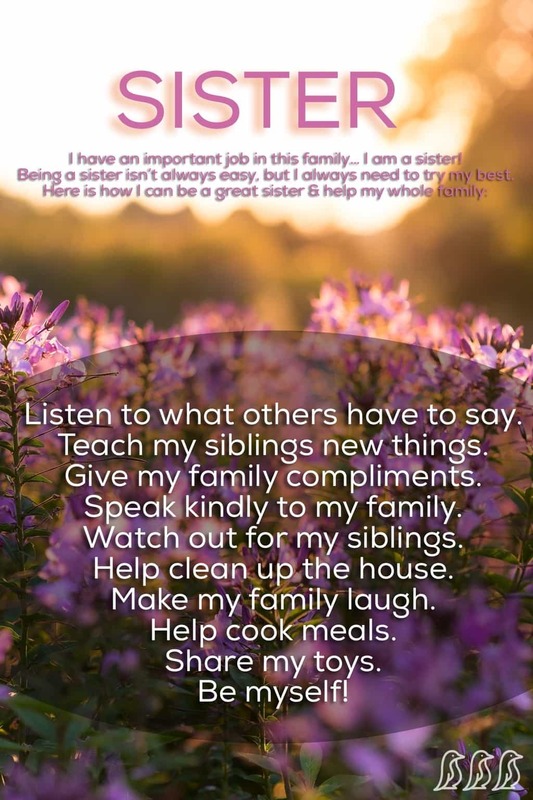 Print, frame, & hang this image in your daughter's room for a warm reminder that she has an important job in your family: being a great sister!